Good afternoon everyone! I hope you are all having a fabulous day and have an exciting weekend planned! 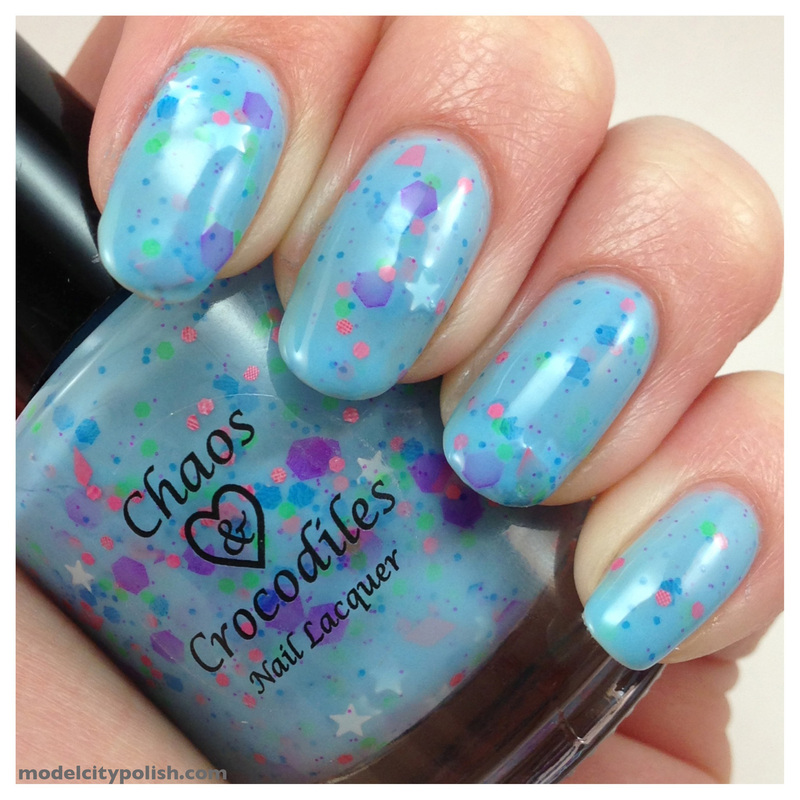 Today I want to share with you guys some super sweet polish from Chaos & Crocodiles. This is my first polish from them and I am already planning on taking advantage of the next restock, I was that impressed. Time For A Sugar Rush was everything I wanted and then some. Application was flawless! 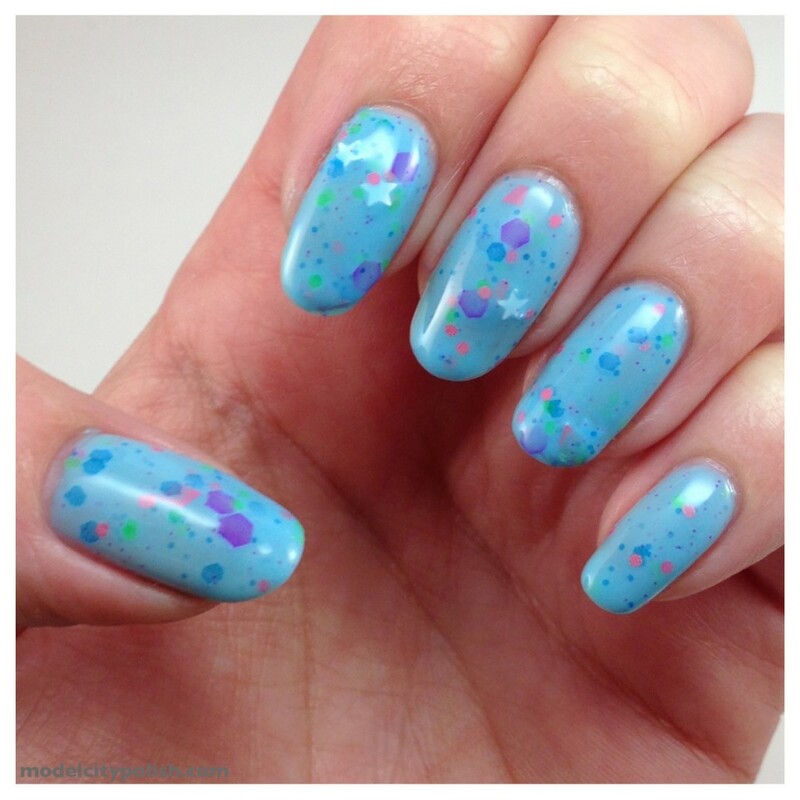 I only needed two coats to get full opacity and the glitter distributed beautifully. 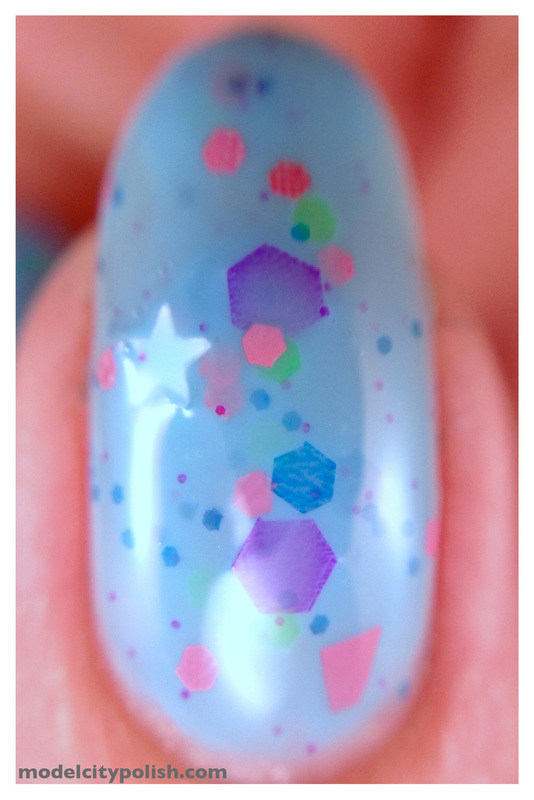 I did have one star that stood kinda funky and was a little scratchy but my nails have a pretty prominent arch. Along with the two coats of polish I used my Gelous top coat followed with Seche Vite to get a pretty smooth finish. I got a lot of complements on this one. Enough babbling, on to the pics! 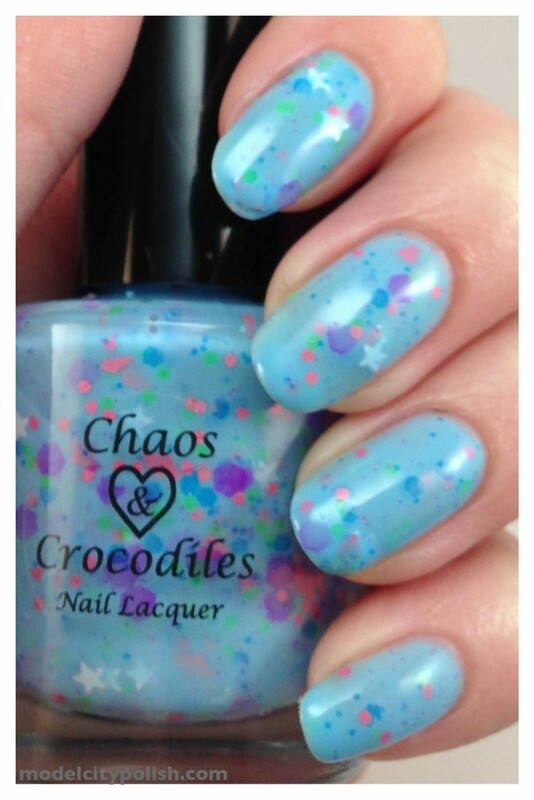 So what do you guys think of Chaos and Crocodiles? I think they have a new fan here for sure. 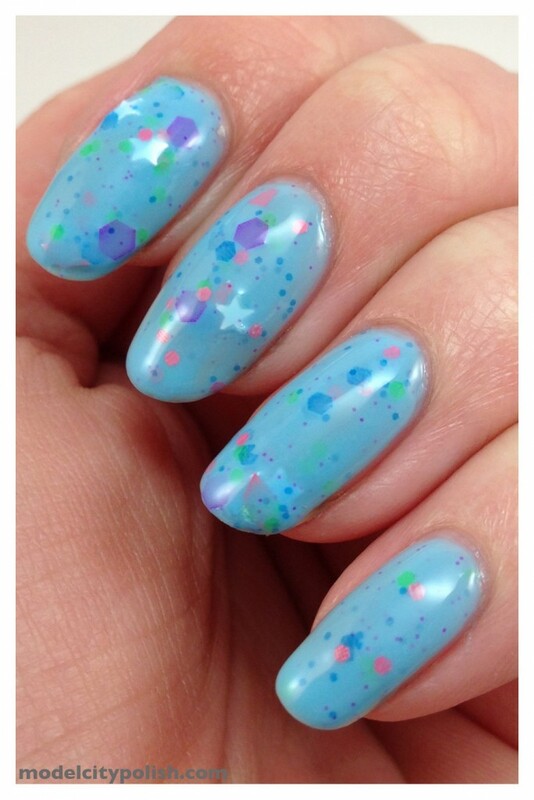 Again, there has been talk of a restock on the 8th of June that should include this polish plus many more from her Amusement Park Collection.